BUY MORE SAVE SHIPPING Expedited Shipping Through DHL and FedEx 4 - 7 Days Delivery (Don't be surprised if it reaches earlier sometimes when customs clearance procedures are required, it can cause few days delay) This exfoliating scrub is blended with pure walnut oil, rich in Vitamin A and lecithin, extracts of neem, mint, fenugreek and red sandalwood to purify and polish skin texture. Sweeps away dry lines and leaves skin smooth, soft and spotlessly refreshed. Skin becomes more receptive to the benefits of future treatment. Pollutants and dirt can clog your pores making your skin dull and prone to acne. 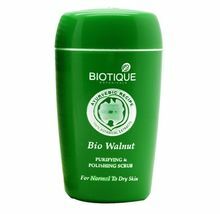 Revive your skin with Biotique Bio Walnut Skin Polisher Scrub. This Unisex scrub is applicable to all skin types. The Biotique scrub is a potent infusion of ayurvedic ingredients like Neem, Nagkeshar, Pudina, Walnut, Bees Wax Vitamin A, Fenugreek, Red Sandalwood and Himalayan Water which combine to nourish your hair by boosting strength. This scrub efficiently purifies your skin by ridding it of impurities. 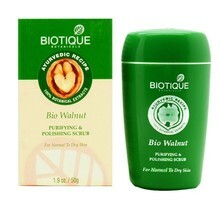 The walnut extracts present in it serves as cleansers that unclog your pores and gently exfoliate your skin. The neem essence has anti-inflammatory properties and soothes your skin by eliminating redness and rashes. 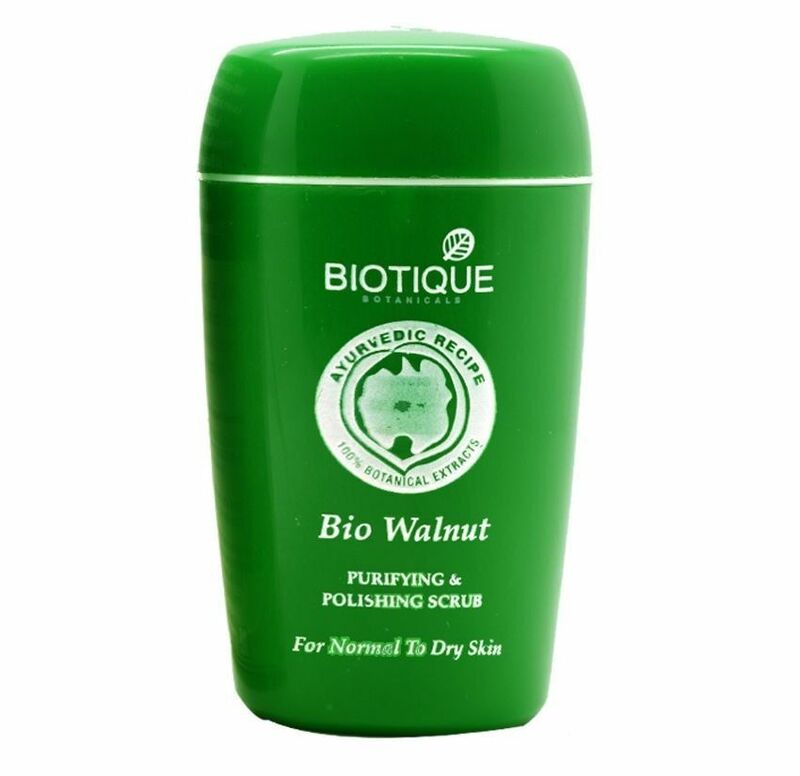 This Walnut scrub removes dead cells thus keeping your skin clear and refreshed. This organic scrub has a polishing effect and makes your skin soft and radiant by adding to its shine. The micro-granules present in the scrub does not strip moisture from your skin thus eliminating dryness. This Polisher scrub can also lighten your skin and remove spots and blemishes. The Biotique scrub is toxin-free and dermatologically tested for your safety. Ingredients Akhrot chhal (Juglans regia shell), Neem (Melia azadirachta), Nagkeshar (Mesua ferrea), Pudina (Mentha iperita), Mom (Bees wax), Surajmukhi (Helianthus annuus), Himalayan water Q.S How to Use Massage on wet face and neck with fingertips. Avoid eye area. Rinse with water or damp washcloth. Use daily or as needed. We work hard to ensure 100% satisfaction on every customer purchase. If you have any issue with your purchase, please let us know prior to responding with negative feedback. This way we will be able to better address the situation to your advantage. Please do not file Item Not Received Case or Item Not as Described Case. If you contact us, we will resolve any issue in your favor faster than eBay Resolution Center. We reply all the mails within 8 hours. Also don't forget to leave a positive feedback if you are satisfied with our services.